Living next door to the Lammas ecoVillage. When you find yourself living next door to a small community of wonderfully creative and experienced natural home builders something is bound to rub off. 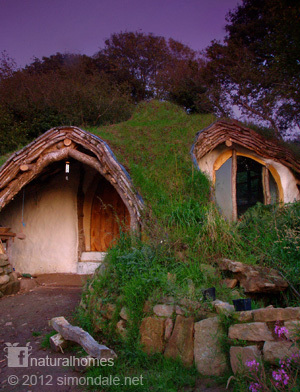 This lovely home in Wales was built by Charlie with help from Simon who built the iconic woodland house. You may recognise the iconic woodland home (left) built by Simon Dale. 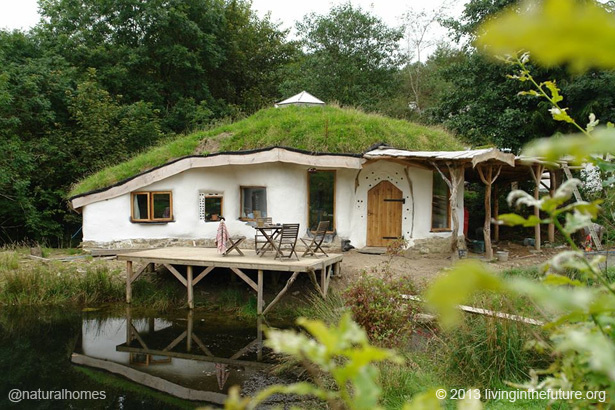 Since building his home Simon has moved to Lammas ecoVillage in Wales and built another beautiful sustainable natural home for his growing family. Charlie is a young man with a young family and like many others finds it difficult to afford a home. In Charlie's case he had two things going for him. 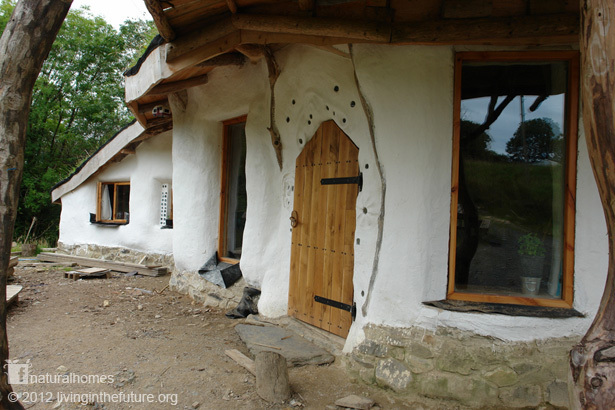 First his father owns a big enough plot of land for Charlie to build a home and, luckily for Charlie the land is right next door to Lammas ecoVillage in Wales. Watch this short video from film makers Living in the Future where Charlie tells his story. Charlie's home has a reciprocal green roof a roofing method popularised by Tony Wrench who was one of the many that helped Simon Dale to build his woodland home. 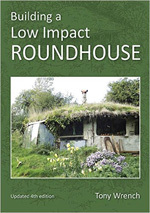 Tony's book details how to build a reciprocal roof. Collectively there are many organisations working together to bring sustainable building and natural living practices to the mainstream. The film makers 'Living in the Future' are among them with their Lammas DVD. Watch this short trailer where members of Lammas talk about sustainable living.